The Android architecture does not allow to start communication from the Android to the host through the USB cable.The opposite is possible, using the Google “Android Debug Bridge” (ADB in short). On the Host part, you have to declare the ports you want to be opened on the Android and the tunnel will transfer communications between the android and the host. The host can be any server on the network or your local host. On the configuration panel, enter the path to the ADB program. ADB is part of the Android SDK. The installation includes the minimum files required. If Tethering is a technology that allows you to use the mobile internet connection on your PC, this tool gives you the opposite. It’s a sort of Reverse Tethering. You can now surf on your mobile (using the internet connection on your PC) through the Usb tunnel and via a proxy. 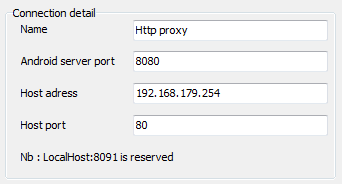 If you are on a company network, ask your administrator what IP adddress and port he is using for the proxy. In some cases it can be the default gateway (run ipconfig command at the DOS prompt to find out what the default gateway is). If you are on a private network and you have no clue about the proxy adress and port, you can use a public proxy (do search for “Public proxy” on the internet). To help you out, here is link to a list of proxies. 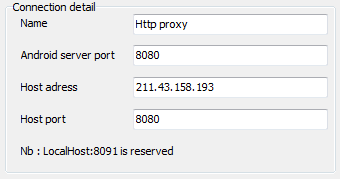 Another possibility is to install a local http proxy server like squid. Step 1 : configure the windows part. Since low ports can’t be used, you should use a different high port for the android and another port for the host. Step 2 : Connect he USB cable (of course). Click the refresh button to display your device in the device list then click connect. The Android Usb tunnel service will start in the background. A connection icon will be added on the notification pannel. Step 3 : Setup your browser to use a proxy. Depending on the version of your Android OS, it’s possible to define a http proxy in the advanced wifi settings menu (Not tested, available in some Android, but not all). I didn’t find a way to get it working. Step 4 : Enjoy! 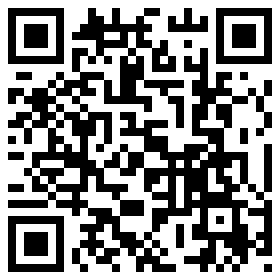 enter any URL on your browser. Your firewall may detect that AndroidTool.exe is trying to access the internet. Give him the rights to access the proxy. I checked with an internet speed test. It’s just a little bit slower.